In a video game device which performs a video game wherein a game character or unit moves through a plurality of paths including a plurality of branch points according to an instruction of a player, a first movement control unit displays branch-direction indications enabling the player to select one of a plurality of first branch directions at a branch point on a path in the video game, so that a selected one of the plurality of first branch directions is received from the player. A second movement control unit displays preceding-branch-direction indications enabling the player to select, in advance, one of a plurality of second branch directions at a branch point on a following path in the selected first branch direction, so that a selected one of the plurality of second branch directions is received from the player. 1. A computer program computer-readably stored in a memory unit which, when executed by a computer having a processing unit, causes the computer having the processing unit to perform a video game control process of a video game wherein a game object moves through a plurality of paths in response to instructions by a player operating an input unit connected to the computer having the processing unit, the video game control process comprising: allowing the player to designate a destination which the player intends to cause the game object to reach; detecting a path from a current location of the game object to the designated destination and controlling the game object to move from the current location of the game object toward the designated destination; if the path detected from the current location of the game object includes a branch, displaying preceding-branch-direction indications in advance before the game object reaches a branch point, and enabling the player to select, in advance before the game object reaches the branch point, one of the preceding-branch directions for the branch point; and when the game object has reached the branch point, controlling the game object to move along the selected branch direction unless an instruction for selecting a branch direction different from the selected branch direction is given by the player for the branch point. A virtual game environment in which characters are allowed to give help to one another and in which the game tracks the amount of helpfulness of each character is provided. Characters may be rewarded or paid for giving help to each other. In some embodiments, help may be given in the form of advice. Here’s one for all of you online poker fans. The ‘048 patent describes a virtual game of poker that a gamer could play against a friend or the computer. 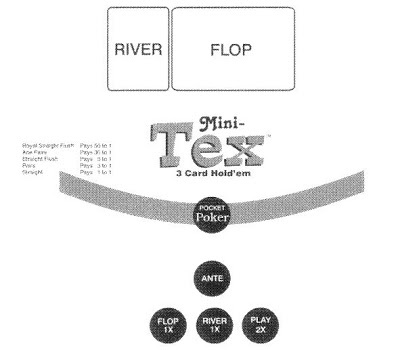 The patent describes a virtual Texas Hold ‘Em game where the each participant (whether computer or human) receive two cards that only they can see. Then the table shares a pool of cards while trying to make the best hand possible using the two cards each player was dealt, plus three of the cards shared by all of the players. Wages can vary based upon the betting strategy of every player. The player is also able to fold and is not forced to continue on unless he chooses to. A playing card wagering game has a player hand compete against another player hand according to three-card poker rank or a player hand compete against a dealer hand. At least one or two players place a first wager on the card wagering game and an optional second side bet wager. The player hand begins with two respective hole cards and all player hands are completed with community playing cards dealt in sets of cards. Relative rank of the players’ hands is determined. The first wager is resolved based upon the determined relative rank by determining which player hand(s) wins. The second wager is resolved according to rules that comprise comparing rank of each player’s hand to a paytable. 1. A method of playing a playing card wagering game in which a player hand competes against at least a dealer hand at a table according to a three-card poker rank of the player hand wherein: at least one player places a first ante wager on the playing card wagering game; each player and the dealer receives exactly two physical playing cards as hole cards viewed by only the player receiving hole cards and each player evaluating respective hole cards, while the dealer hole cards remain concealed; each player placing a second wager on the card wagering game to remain in the game or not placing a second wager and folding as a first round of wagering; after the first round of wagering, a flop of physical playing cards as an only single set of physical playing cards as community cards is provided for all players and the dealer to use in combination with respective hole cards to determine respective player at least intermediate hand rank; each player placing a third wager on the card wagering game to remain in the game or not placing a third wager and folding as a second round of wagering after viewing the flop of the only single set of community cards; after the second round of wagering, a second at least one physical playing card as a second set of community cards is provided for all players and the dealer to use in combination with respective hole cards and the flop to determine respective player at least intermediate hand rank; each player placing a fourth wager on the underlying card game to remain in the game or not placing a fourth wager and folding as a third round of wagering after viewing the second at least one physical playing card as a second set of community cards; after an ultimate number of exactly three physical playing cards as community cards have been separately provided as sets for use by each player and the dealer, and wagering has been completed, comparing player hand ranks of only three-card poker rank against a dealer hand rank of only three-card poker rank to determine a player or players with highest rank of hand as compared to the dealer, and paying such highest rank of hand against the dealer players at least 1:1 on all wagers on the card wagering game. Issued June 1, 2010, to Bally Gaming, Inc. 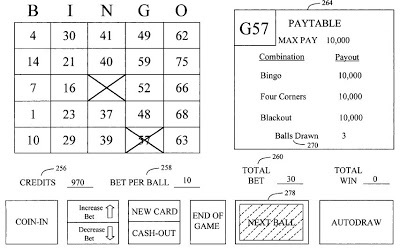 The ‘064 patent describes an interactive way to play a classing game of Bingo. Each game is charged to the player at the cost of a certain number of credits. The credits can be purchased by the user before the game. The reward of wining one of the Bingo games is a certain number of credits which the player could use to play other games of Bingo. The payout of the winnings varies based upon a graduated weighing function which weighs probabilities differently based on the circumstances of the game. The riskier the gamble, the higher the payout will be. The two types of games offered are four-corner Bingo and blackout Bingo. A system and method of playing an interactive bingo game. Each game session comprises a plurality of game events in which the bingo game draws at least one bingo number from a set of bingo numbers. The player is provided with one or more bingo cards. The game drawn bingo numbers are matched to the bingo cards and the player is awarded a prize according to a dynamic paytable. The dynamic paytable depends on a plurality of dynamic variables that are modified during the game session. The dynamic paytable further comprises a plurality of triggering events that are associated with a plurality of bingo patterns, and a threshold event that is engaged after one or more triggering events. The threshold event is configured to determine a plurality of prize credits awarded for each subsequent bingo pattern. For the chargeable action embodiment, the player is charged one or more credits for each of the game events and the credits that are charged are determined by said player. For the average bet embodiment, the player is only charged at the beginning of the game session. 1. A method of playing an interactive bingo game, comprising: initiating a game session on a gaming device that comprises, a plurality of game events corresponding to the game session, a chargeable credit game condition, in which a first player selection is received for charging at least one credit for each game event; providing on a player interface, a player a bingo card having a plurality of integers configured in a grid pattern; performing the game events on the gaming device so that each game event comprises having the interactive game draw at least one bingo number from a set of bingo numbers; charging a player a quantity of credits obtained from an input component of the gaming device for each of the game events according to the chargeable credit game condition; awarding by the gaming device to said player one or more prizes according to a dynamic paytable that depends on a plurality of dynamic variables that are modified after each game event that charges according to the chargeable credit game condition, the dynamic paytable comprising, a plurality of payouts wherein each payout is associated with a corresponding game event, a plurality of triggering events wherein each triggering event is associated with one of a plurality of bingo patterns, a threshold event that is engaged after one or more triggering events, said threshold event configured to determine a plurality of prize credits awarded for each subsequent bingo pattern; repeatedly displaying each payout for the corresponding game event; repeatedly modifying the payouts during the game session for each game event so that each payout is modified according to a graduated weighting function that weighs probabilities more favorably as more game events are played during the game session; and enabling the dynamic paytable to be modified after each game event according to an equation: PAY(I)=ROI*ABET*WGT(I)*AL(IHIT)/PR(I) where, PAY(I) is a payout for a bingo pattern; ROI is an overall payback percentage; ABET is an average bet; WGT(I) is a graduated weighting function that weighs probabilities more favorably for game events that occur at the end of the said game session; AL(IHIT) is a pay allocation weighting function that determines the percentage of the total prize awarded for the bingo pattern; and PR(I) includes a probability for the next game event, wherein the next game event is the bingo number picked from the set of bingo numbers. 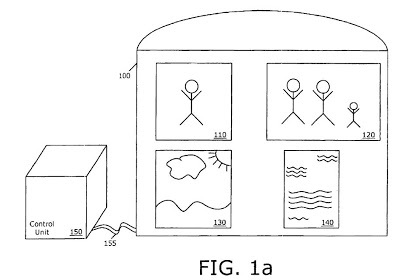 The ‘997 patent provides for a virtual environment where a user is able to interact with other people in the digital world. The user can request to enter into a formalized relationship with another player. The user then has a set of appropriate actions that can be taken in relation to the other player. If the user acts inconsistently with these approved actions, the relationship between the two players is terminated. 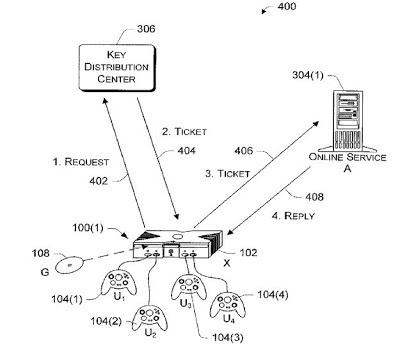 The patent seeks to create a massive multi player online game (MMOG) that is fun and enjoyable for players even though no clear winner or loser is ever established. 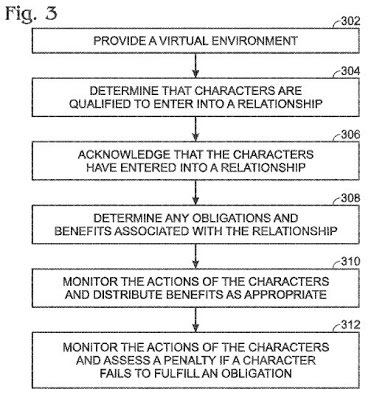 Virtual environments in which multiple characters are allowed to form relationships wherein the relationships may provide various benefits as well as obligations are described. Systems and methods for forming, monitoring, and terminating the relationships are also described. 1. A method performed by a computer, the method comprising: providing, by a Video Game Central Server, a virtual environment accessible by a plurality of players, wherein the players are able to interact with the virtual environment and each other via characters; receiving, by the Video Game Central Server, a request from a first player character to enter into a formalized relationship with a second character; determining, by the Video Game Central Server, if the first player character is qualified to enter into a formalized relationship with a second character; creating, by the Video Game Central Server, the formalized relationship between the first player character and the second character; monitoring, by the Video Game Central Server, the actions of the first player character in the virtual environment; determining, by the Video Game Central Server, if an action taken by the first player character is inconsistent with the formalized relationship created between the first player character and the second character; automatically terminating, by the Video Game Central Server, the formalized relationship if an action taken by the first player character is inconsistent with the formalized relationship. 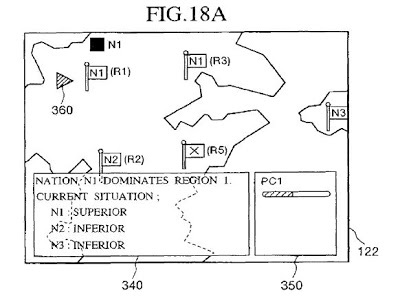 The ‘895 patent provides for a game which includes a world map including multiple regions. The game allows players to compete against other players. Each of the players selects a character which belongs to different nations. The players connect to a network and communicate with other during competitions. Points are totaled during the game according to victories and accomplishments achieved by the players. Different tasks in the game are allotted different points. Thus, a player has the opportunity to achieve a higher point award by accomplishing one task, while receiving fewer points for completing another. Players may join together in order to earn more points during the course of the game. A world map includes multiple regions. Each region includes one or multiple areas. A player causes his/her player character to belong to any nation. As a task given to the player character, a battle with an enemy character is provided on the map of each area (the battle may be waged by a party). When the, player character wins the battle in each area, predetermined points are given to a home nation of the player character participating in the battle. The points given to each home nation are totaled for each region, and a nation that dominates each region is decided according to a result of the total points. 1. A network game system having a server apparatus and a plurality of client apparatuses each connected to the server apparatus via a network, each of the client apparatuses comprising: a group selector that selects a group to which a player character operated in a virtual space based on a player’s operation belongs, the virtual space being divided into a plurality of zones; a group information transmitter that transmits group information on the group selected by the group selector to the server apparatus via the network; an operation instructing device that instructs an operation of the player character in the virtual space based on a player’s operation; an operation transmitter that transmits the operation to the server apparatus via the network; a change information receiver that receives change information indicating a change in a content of a game sent from the server apparatus; and a display controller that causes a display device to display the content of the game indicated by the change information, the server apparatus comprising: a group information receiver that receives the group information transmitted from the group information transmitter; a group register that registers groups to which each player character of the plurality of client apparatuses belongs based on the received group information; an operation receiver that receives the operation of the player character transmitted from the operation transmitter; a point calculator that calculates points corresponding to a degree of achievement of a task of each player character based on the received operation of the player character; a point totaler that, every fixed periodic judgment interval, which is independent from tasks assigned to player characters, totals the points calculated by the point calculator for each of the zones for each group to which each player character belongs; a game changer that changes the content of the game in a next fixed periodic judgment interval, which is independent from tasks assigned to player characters, based on the points totaled for each zone and for each group in a current fixed periodic judgment interval, which is independent from tasks assigned to player characters; a change information transmitter that transmits change information on the content of the game changed by the game changer to each of the plurality of client apparatuses via the network; a dominion provider that provides dominion of each zone to a dominating group having a greatest number of total points for the zone, wherein the game changer changes the content of the game according to whether dominion of each zone is provided to any one of the groups by the dominion provider so that each player character belonging to the dominating group receives an advantage within each zone dominated by the group of the player character; a point corrector that corrects the total points of each group in accordance with a number of registered player characters of each group; and a group changer that changes the group of the player characters registered in the group register based on an instruction from the client apparatus corresponding to each player character, wherein the point totaler totals the points of the player character subjected to the group change after excluding the points calculated by the point calculator before changing the group from the total points of each group, and wherein the point calculator calculates a different number of points as the points corresponding to the degree of achievement of the task, depending on whether the player character’s group has dominion of the zone where the player character has accomplished the task. 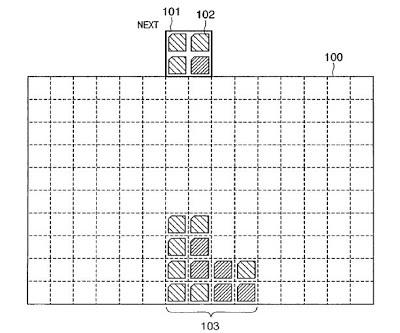 The ‘211 patent allows games to have a more realistic and life-like feel to them because the movements of players have been redesigned to simulate those of actual opponents. The virtual camera is designed to provide alternate views of the action based on what is going on during the event. 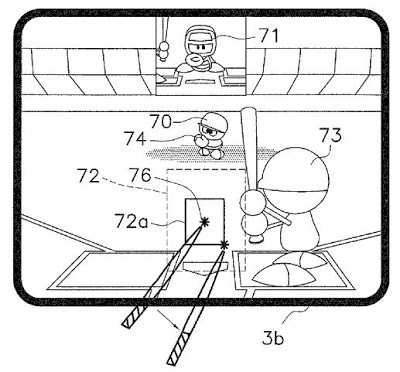 Whenever there are a lot of characters on the screen at the same time, the camera will be pulled out so that the most action can be seen while the player competes in the game. Games are processed in a more realistic and immediate manner during image processing for soccer games and the like. 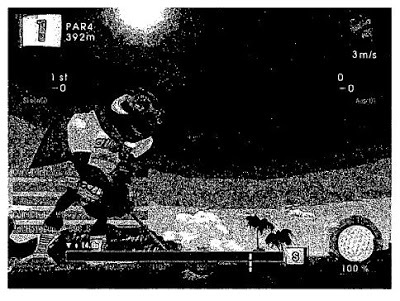 Specifically, the movements of characters more accurately simulate those of actual opponents, resulting in greater game realism.The invention is an image processing device for imaging and displaying the behavior of characters modeled on opponents in virtual three-dimensional space. It is determined (S21 to S24) whether or not there exists a certain situation in which the relation to the game contents (in the centering area, for example) or the positional relation (such as distance) between characters and a target (such as opponent characters or the ball) having a relation through the game to said characters matches certain conditions, and the eyes of the characters are directed to the target (S25, S26, S28, etc.) when it is determined that the certain situation exists. The invention is especially suitable for soccer games. 1. An image processing device comprising: image generating means for generating a game screen representing a view seen from a virtual camera disposed in virtual space, wherein a plurality of predetermined areas are defined in said virtual space and an angle of said virtual camera is set for each of said plurality of predetermined areas; object setting means for setting an object in said virtual space; object behavior controlling means for controlling behavior of said object in said virtual space based on an operation of a player; camera angle adjusting means for adjusting an angle at which said virtual camera views said object, based on positional coordinates of said virtual camera in said virtual space; and object positional determination means for determining whether said object is located in one of said plurality of predetermined areas based on the positional coordinates of said virtual camera; wherein said camera angle adjusting means angularly adjusts said virtual camera to 0 degrees if said object positional determination means determines that said object is not located in said plurality of predetermined areas; and said camera angle adjusting means adjusts said virtual camera to the angle set for the area in which said object is located if said object positional determination means determines that said object is located in any of said plurality of predetermined areas. Issued June 23, 2009, to NHN Corp. 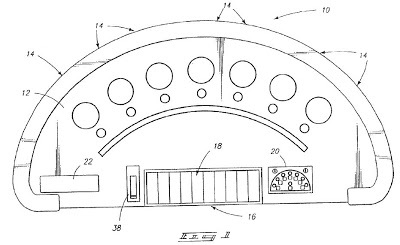 The ‘918 patent provides for a golf game whereby the player can make a club selection before his shot begins. The player then can press a button which begins his shot power meter as well as a shot direction meter. Thus, the player has full control of both his shot power and the direction of his shot. Each club is programmed to have different values which means that they all differ in the kind of shots the player can make. The player needs to master each club’s abilities in order to play to his maximum ability. A system and method for playing a golf game. A user is allotted with an ability value for the golf game, and a plurality of available golf clubs are provided according to the user’s ability value. A request ability value referred to when requesting to use a corresponding golf club and an application ability value applied when the golf club is used are allotted to each of the golf clubs. Only when the user’s ability value satisfies the request ability value allotted to a golf club can the user use the golf club. Ability points that can adjust the user’s ability value are allotted to the user according to a result of the golf game, so that the user can select from a wide range of golf clubs having various characteristics. Accordingly, the user can adjust the ability value which influences the percentage of winning the golf game using the ability points allotted according to the result of the golf game, thereby enhancing the fun of the golf game. 1. A method of playing a virtual golf game, wherein a player of the golf game is provided a set of golf clubs, wherein each golf club set is classified with a request ability value that indicates a non-monetary ability value needed by the player, and wherein each golf club set is assigned an application ability value that indicates characteristics of golf shots by the golf clubs in the golf club set, the method comprising: allotting a non-monetary, ability value to a player of the golf game, wherein at least one attribute of the player’s skill in playing the virtual golf game is based on the allotted non-monetary ability value; receiving a request for a golf club of the set of golf clubs; selectively allowing the player to use the requested golf club set based on whether the non-monetary, ability value allotted to the player is equal to or higher than the request ability value of the requested golf club; determining an adjustment value according to the application ability value associated with the golf club set; adjusting an input parameter according to the adjustment value; and determining a flight distance and location of a golf ball in response to receiving an input corresponding to the adjusted input parameter such that: (1) when neither a gamble nor an over-power gamble on a golf club is requested, the flight distance is computed according to the application ability value associated with the golf club, (2) when a gamble on the golf club is requested, the flight distance is determined based on a sum of a basic flight distance and an additional value according to the result of the gamble, (3) when both a gamble and an over-power gamble are requested, the flight distance is determined based on a sum of a basic flight distance, an additional value according to the result of the gamble, and another additional value that is based on success of the over-power gamble, and (4) upon checking a level of the player and a level of the golf club and when the player’s level does not match the golf club level, the flight distance is determined based on applying a compensation value that corresponds to the difference in the player’s level and the level of the golf club. 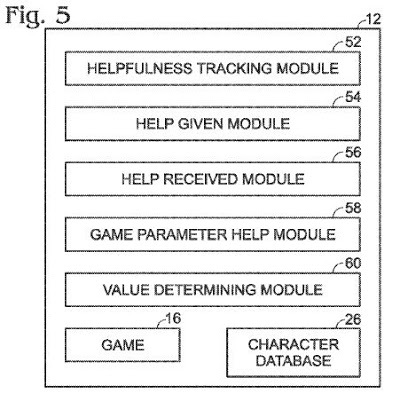 The ‘842 patent describes a system for role-playing games where the player has a wide range of characteristics which can be assigned to his character. Each characteristic carries a certain weight which factors into how much the character can grow and advance in the game. Thus, the player must take careful consideration when assigning certain characteristics to his character in order to provide the most effective combination that will lead to the best growth potential. 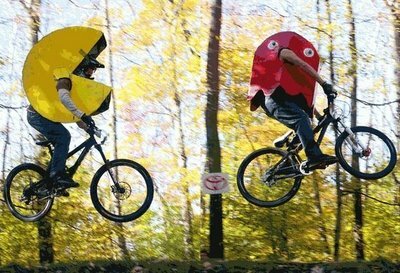 A game system provides multiple classifications of character characteristic and is capable of advancing a game by assigning the desired characteristic to a character from multiple characteristics. Two jobs, that is, a main job and a support job are selectable for a character and a fixed pattern of table configuration data is provided as characteristic value information according to the job. 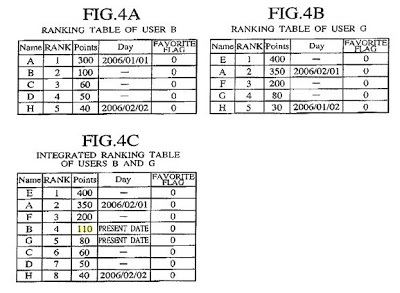 In addition, the table configuration data corresponding to the classification of the job is extracted and applied to a growth table for each job, and ability values of the main job and support job are weighted differently so as to achieve character characteristic having two job abilities together. Accordingly, it is possible to effectively increase the job types to be assigned to the character and to create an interesting game, while reducing necessary memory capacity. 1. A game system, which, when executing a game by operating a character in accordance with a game program, provides a plurality of types of characteristics of the character and advances the game by assigning at least one type of characteristic to the character from among the plurality of types of characteristics, the game system comprising: a main characteristic assigning system that assigns one of the types of characteristics to the character, the assigned type of characteristic serving as a main type of characteristic of the character; a storage that stores a plurality of predetermined sequences of characteristic value information that determines characteristic values of the character for each character level, and also stores a plurality of growth pattern values of the assigned characteristic type, each of the plurality of growth pattern values corresponding to one of the predetermined sequences; an application system that extracts characteristic value information corresponding to a character level and the growth pattern values of the assigned type of characteristic from the stored characteristic value information, and applies the characteristic values of the character in accordance with the extracted characteristic value information; and a controller that controls the character according to the characteristic values applied by the application system, wherein the plurality of growth pattern values are combined based on the plurality of assigned characteristic types, wherein each of a plurality of growth patterns comprises a stored predetermined sequence of characteristic value information, each predetermined sequence representing a progression of the characteristic values corresponding to each of the assigned characteristic types, and wherein the growth pattern values are combined by weighting and adding the characteristic value information in the predetermined sequences, based on the assigned characteristic type corresponding to the characteristic value information. For those out there who love playing Bingo with multiple cards, but find it difficult to keep track of all those numbers, the ‘480 reissue patent tries to make your life easier. 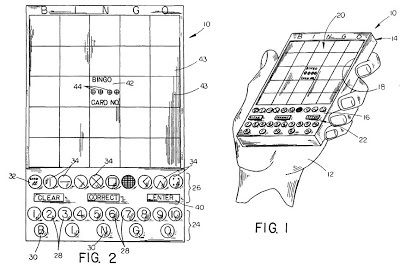 The patent describes a hand-held device whereby electronic cards are loaded into the device and keep track of the player’s cards and (hopefully) winnings. Whenever a number is called, the hand-held device automatically searches the stored cards for a match. If the number is a match, the device marks it off the card for the user. If the number is the winning number, the device signals that a winning pattern has been achieved and tells the user the winning pattern so he may call out the numbers and claim his earnings. An electronic bingo playing apparatus and method involve the use of a hand held portable computer having a card memory which can store the content information from a plurality of standard bingo cards. This information is entered by a keyboard. Letter/number combinations which are selected during play of the game are also manually entered by the keyboard. The program memory then directs the microprocessor to search the stored cards for a match and any winning patterns of matches. Upon detection of a winning pattern, the portable computer responds with the winning card number, as well as the particular winning pattern. said data entry keys and instruction keys thereby being capable of entering all of the input information in both the setup and play modes of the microprocessor. 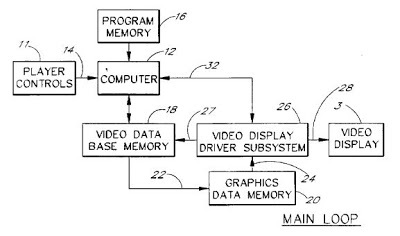 The ‘662 reissue patent provides for a motion picture branching method where the animation on the screen is controlled solely by the actions of the player. 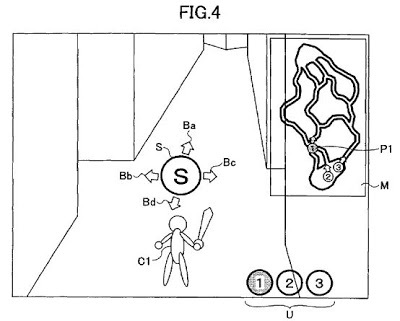 One described use of the patent involves a player swinging a racket toward the screen to control his character to connect with a ball in mid-air. Once the character hits the ball, it heads toward the opposing player (computer or human) who can then hit the ball back. The flow of the game is not set and is fully determined by the decisions of the player. 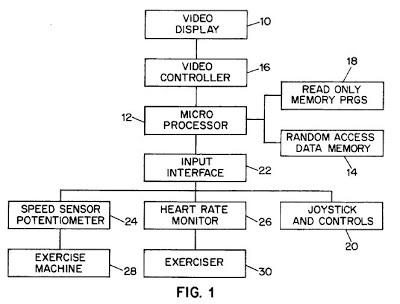 The animations described in this patent are all on multiple tracts which play out based on the decisions of the player, not from a pre-defined route. The motion picture branching method is superseded by an animation method which enables rapid and repeated switching of multiple tracks of different camera-originated animation of the same character during continuous action in a scene, and enables branching at the termination of an action to multiple actions or scenes. This method is the basis of a double-circuit video system that enables a player to repeatedly touch or hit an animated character during a continuous action as displayed on a projection screen or television monitor and thus change the action repeatedly. Another system embodiment enables the player to swing a racket before the screen or television monitor, hit the mid-air projected image of a perspective ball animated action, return the ball back to the animated character opponent, and play a simulated game during the the player exercises the same skills used to play the game simulated. An ultrasonic transducer of a playing instrument and a microphone combination on the television face or at angles to the playing action produces a readout of the television product position or the mid-air position of the playing instrument relating to the game. The readout signal is converted into digital form and compared to a similar readout in digital form of the position of the character or object in the frame of the animation displayed by the television and digitally coded in the video tape or disc. Issued December 31, 2002, to Square Co. Ltd. The ‘948 reissue patent applies conventional turn-based role-playing games or battle games (ex. 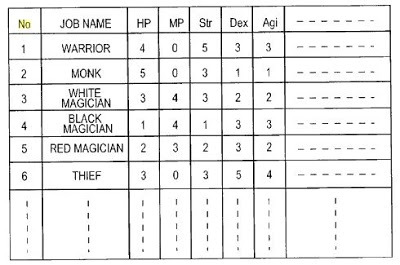 Advanced Dungeons and Dragons or Wizard’s Crown). It describes a system which allows a player to execute an action commanded that causes the enemy character to execute a predetermined action. Each player (and computer enemy) have a set amount of time to perform an action before the other is allowed to take action. Whenever a player attacks an enemy, the enemy player has a chance to counter the attack with a certain action. The enemy player can input a command before the player has entered an attack. This way, the enemy attack will occur immediately after the player’s attack. This is to simulate actual combat with as much realism as possible. Disclosed in a video game of enhanced realism in which actual combat is closely simulated. The game is so adapted that an enemy character on a display screen may launch an attack against a player character on the same screen, even while the player character is the process of inputting a command, at elapse of a set time period specific to the enemy character. The attack is made without an interruption in the flow of time of the game. 1. 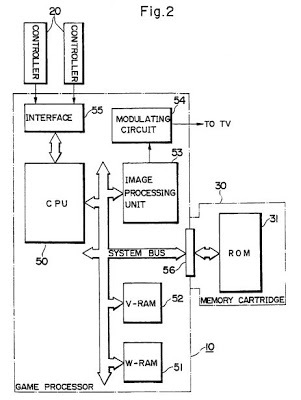 A memory cartridge for program control of a computer for a video game including a CPU for executing processing in accordance with a program, a memory for use during program execution by said CPU, a display processing unit for displaying a game video screen on a display unit under control of said CPU, and an input unit for inputting action commands; said memory cartridge storing a program, said program including instructions for: causing the display unit to display a player character and an enemy character on a display screen, causing the player character to execute an action commanded in response to an action command inputted from said input unit, causing the enemy character to execute a predetermined action, causing a counter associated with each player and enemy character, to count a time, which is assigned to each of the player and enemy characters, from an end of said commanded action and said predetermined action of each of the player and enemy characters, respectively, causing said counter to generate a signal for each of the enemy and player characters when the time counted is equal to the time assigned thereto, in response to said generated signal, allowing said input unit to input the action command for the player character, and proceeding to execution of the action in accordance with the inputted action command, and in response to said generated signal, processing the predetermined action in accordance with a predetermined action schedule for the enemy character. Issued September 11, 2007, to Ricoh Co., Ltd. 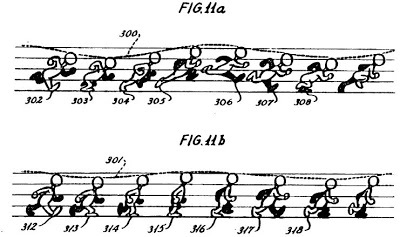 The ‘830 patent describes a method for a player, while playing a three-dimensional game, to record narrative of his movements in the game and then play them back. One option of playback a player can select allows is a passive mode, wherein the user can only navigate along the path taken by the original player who recorded his movements. There is also an active mode, wherein the player is free to move about the three-dimensional world, regardless of where the original player went. 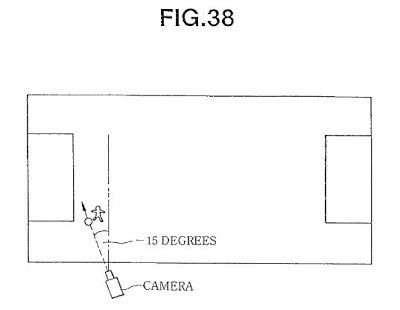 A method and apparatus for recording and playback of multidimensional walkthrough narratives. A three dimensional modeling language is used to automatically create a simple three-dimensional environment using pre-existing electronic documents. A first user, or author may navigate throughout the three-dimensional environment while at the same time recording the path taken and any accompanying audio. In one of two playback modes, a second user can be shown a “walkthrough” of the three-dimensional scene corresponding to the path taken by the author. In the other playback mode, a second user is free to navigate the three-dimensional world while the author’s path is displayed. 1. A method comprising: generating a multidimensional representation of a plurality of electronic documents within a three-dimensional environment; recording a narrative of the multidimensional representation; and storing the multidimensional representation and the narrative to allow playback in at least one of a plurality of modes.